Small cell lung carcinoma (SCLC) accounts for 20% to 25% of all bronchogenic carcinomas and is associated with the poorest survival of all histologic types . SCLC is most often a lesion of the central portion of the lung but is occasionally found in the peripheral portions [2, 7]. In contrast to other major types of lung cancer, SCLC is highly sensitive to both chemotherapy and radiation therapy, which results in initial significant improvements in the survival of patients with this disease but the overall results remain unchanged in the following years due to development of drug resistance and death of the patients . Yun et al  observed that the age-adjusted incidence per 100,000 person-years (standard Poisson regression analysis) for small cell carcinoma was 0.5 (95% CI: 0.2-1.4) for never smokers, 3.5 (95% CI: 0.4-27.3) for former smokers, and 11.1 (95% CI: 1.5-82.9) for current smokers. In this study  83.6%, 14.5%, and 1.9% patients were current smoker, former smoker, and never smoker, respectively. The age-adjusted incidence rates of small cell lung cancer per 100,000 person-years ranged from 6.0 to 11.1 for men and 1.0 to 2.5 for women in different periods during 1975 to 2003 in a report from Osaka, Japan . Intensity of smoking, duration, age at starting, and dose are all directly associated with all histologic types of lung cancer, although the odds ratio (OR) is lower for adenocarcinoma than other cell types . Yun et al , based on the multivariate-adjusted relative risk for current smokers observed the strongest association with smoking for small cell lung cancer (relative risk, 21.7; 95% CI, 8.0-58.5) followed by squamous cell carcinoma (relative risk, 11.7; 95% CI, 7.1-19.4) and then adenocarcinoma (relative risk, 2.1; 95% CI, 1.6-2.7). Sobue et al  observed that for current smokers, the relative risk for combined small cell carcinoma and squamous cell carcinoma was 12.7 (95% CI: 4.7-34.7) and 17.5 (95% CI: 4.9-62.1), while for adenocarcinoma it was 2.8 (95% CI: 1.6-4.9) and 2.0 (95% CI: 0.8-5.0), for men and women, respectively. According to Baldini and Strauss , women who smoke appear to be at higher risk of developing small cell lung cancer than squamous cell lung cancer, whereas men who smoke have a similar risk for the two histologic conditions. Yun et al  observed that 88.7% small cell lung cancer cases had >20 years' history of cigarette smoking and 90.7% smoked >10 cigarettes per day. Khuder et al  reported that early age at initiation of smoking significantly increased the risk of small cell carcinoma (odds ratio = 3.0; 9% CI, 1.18.4). Whereas quitting smoking reduced the risk of squamous cell carcinoma and adenocarcinoma, it did not affect the risk of small cell lung cancer. The frequency of SCLC among all lung cancer cases in histopathologic samples ranges from 12.2% to 15.8% in various studies (Table 1) [9, 10, 12, 15-17]. In men the frequency was higher (range, 13.0 to 15.7%) than that in women (5.1 to 12.4%) [10, 12, 17] and in an autopsy study in men  the frequency was very high (28.9%). 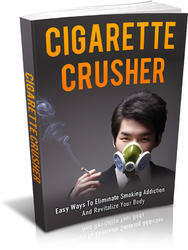 Get All The Support And Guidance You Need To Permanently STOP Being A Slave To Nicotine And Cigarettes. 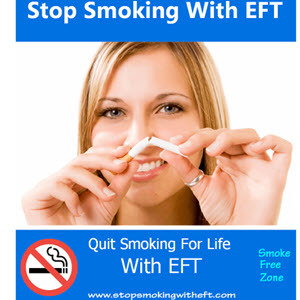 This Book Is One Of The Most Valuable Resources In The World When It Comes To Easy Ways To Eliminate Smoking Addiction And Revitalize Your Body.